A woman in a dark dress, with an expensive wide collar; a ‘millstone collar’. Judith Leyster was the first woman to become a member of Haarlem’s Saint Lucas guild of painters. She took her name from her father’s distillery, De Leystarre. Whether Leyster studied under Frans Hals (1582/3-1666) – as is commonly assumed – is debatable. While she did build on innovations that Hals had introduced into painting, she did so in her own way. 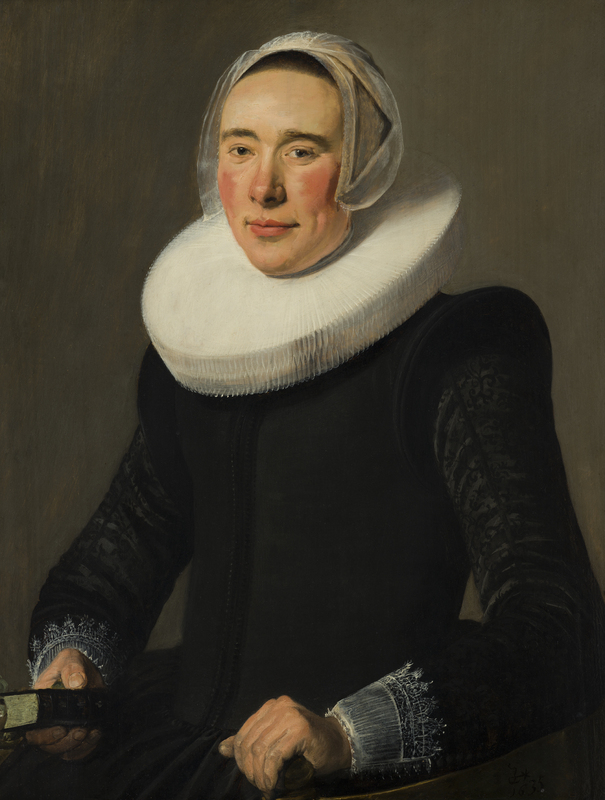 This painting was long thought to have been by Frans Hals. Judith Leyster’s monogram, JL*, was simply overlooked.